Vitamin D and Sun exposure. Is your doctor INCREASING your risk of cancer? Vitamin D and Sun? What your doctor is afraid to tell you. In the decades preceding antibiotics, tuberculosis was a major health problem. Treatment centers sprang up around the world, all offering a similar treatment. These centers were generally located in sunny, but cool areas of the world and offered a high cure rate for tuberculosis and other chronic illnesses. What treatment did these centers offer? Heliotherapy, or Vitamin D Sunlight Treatment. They knew the value of Vitamin D and sun exposure, even if they didn’t know why. But for the past decades, we have been warned to stay out of the sun in order to Protect our health, specifically to prevent skin cancer and no one is told to take Vitamin D in Winter when there is virtually ZERO vitamin D for 6 months out of the year. Unknowingly, doctors have been prescribing a recipe for disaster – Vitamin D deficiency is now thought to be widespread - up to 70% of the population according to some studies. Ironically, much of the Vitamin D Research shows that this deficiency is actually contributing to the RISE in many cancers, including certain forms of the skin cancer that it is supposed to be preventing!! Dr. Robert Heaney, one of the foremost Vitamin D researchers, explains In This Video why the evidence just isn't there to support the idea that sun exposure causes skin cancer. Humans evolved, according to mitochondrial DNA records, on the plains of Africa in the heat of the sun. We evolved darkened skin to protect us from the UV rays that would damage our skin because we got so much sun exposure. As we migrated north, our skin became lighter in order to be able to produce enough Vitamin D with less amounts of sunlight, and we also had more access to Vitamin D Foods such as fatty fish when we did so. Vitamin D is produced when UVB sunlight rays hit a cholesterol layer in our skin. The cholesterol is then eventually converted into Vitamin D3, then turned into the active form of Vitamin D with the help of the liver. Incidentally, this is photosynthesis. Plants don’t have a monopoly on photosynthesis; in fact humans REQUIRE it for good health! Humans require photosynthesis too!? But doctors say that sunlight is bad for your skin and can CAUSE cancer. Which of these views is the truth? Well, both of them are. Humans NEED sunlight. Sunlight has been shown to improve mental as well as physical health. It not only improves mood in general, but can prevent and even treat the depressive disorder known as SAD or Seasonal Affective Disorder. It also decreases infections in wounds when they are directly exposed to sunlight, stimulates the immune system and regulates specific hormones - among its KNOWN functions. Making Vitamin D and sun exposure is how we evolved! It is only EXCESSIVE sun exposure (burning) that we should be avoiding. The problem is that no one has been able to, or will be able to, define excessive because it is different for each person. And with skin cancer as a HUGE fear, doctors are unwilling to give an inch on their position that sun exposure is a health hazard despite facts to the contrary. Most experts agree, even those who believe strongly in vitamin D sunlight exposure for health, that any sunburn is excessive exposure and studies strongly link skin cancer to sunburn. But back to Vitamin D and sun. In 2000, a new tool called GLOBOCAN became available. GLOBOCAN is a database of cancer incidence, mortality and prevalence for 175 countries. Researchers began creating graphs that compare rates of different cancers to latitudes. Lo and behold, incidences of cancers get higher as populations move further away from the equator – and get less sunlight. While there are many other contributors to these diseases, lack of Vitamin D and sun is definitely a factor. Can't you just wear sunscreen and get vitamin d from Sun? Unfortunately, that won’t work. There are two major types of solar rays, UVA and UVB. UVB is what causes sunburns and also makes Vitamin D and sun screen is designed to block UVB rays for just that reason. Incidentally, most sunscreens don’t block UVA rays. It’s interesting to note that skin cancer rates have increased since the introduction of sunscreens, and they tend to rise just after an area has a major public awareness campaign about the need to wear sunscreen. and I’m sure that that plays a role in this." Dr. Michael Holick "The Healing Power of Vitamin D and Sunlight"
At first glance, it seems logical to think that the toxic chemicals in the sunscreens may be causing the cancers. But some scientists have another theory. UVA rays also cause sun damage, they just don’t cause burning. So, the wearing of sunscreen is allowing people to be exposed to solar rays for longer periods of time without burning. And usually, the people who are most apt to put on sunscreen are those with very fair skin. So sunscreens may actually do you a disservice in the long run by preventing you from getting vitamin d from sun AND allowing you to stay in the sun much longer than you otherwise would without them. Well, the answer is – it depends. How much vitamin d from sun you get depends upon where you live, how intense the sun is, how much cloud cover, time of year, how dark your skin is and how much skin you actually expose. But sun exposure to the arms and legs for 10-15 minutes per day should provide between 3000-20,000 IU’s per day of Vitamin D from sun for those with light skin. The Dept. of Laboratory Medicine and Pathobiology, University of Toronto, Mount Sinai Hospital, Ontario, Canada states that most people can easily get 10,000 IU's of vitamin D, some sources claim that it can be up to 20,000 IU's per day from the sun. However, if you have dark skin, you’ll need between 5 to 20 times more exposure for the same amount of Vitamin D from sun. 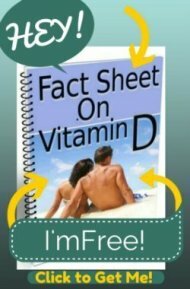 For light-skinned people, for those with poor Vitamin D Absorption and for vegetarians and vegans who need a source of Vegan Vitamin D- sunlight is the cheapest and most efficient way to get enough Vitamin D since Vitamin D Enriched Foods and other #content_3130021 will not even come close to meeting your Vitamin D Requirements. And the benefit of getting your Vitamin D and sun exposure together is that there is absolutely no risk of Overdose on Vitamin D when getting your Vitamin D from sun. 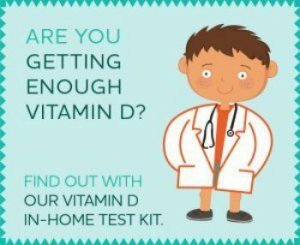 However, even getting regular sun exposure may not get you enough Vitamin D. This study entitled Low Vitamin D Status despite Abundant Sun Exposure was done on young people living in Hawaii who did not wear sunscreen and got an average of 11 hours per week of sun exposure showed that 51% of them were not getting enough Vitamin D from Sun and were still Vitamin D deficient! So while the jury is still out about how much sun you need and even IF you should have any sun at all - if you choose to get your Vitamin D from sun exposure, DON'T GET BURNED!! See Already Answered Questions About Vitamin D and Sun. Click below to see Already Answered Questions about Vitamin D and Sun. I worship the sun, so how could I possibly have a vitamin d deficiency? If I'm taking 3000IU daily and go on vacation to Hawaii do I need to stop taking supplements while in the sun? Does using sunblock prevent or influence the synthesis of vitamin D from exposure to sunlight?